This home has been updated from ceiling to floor, exterior to interior! 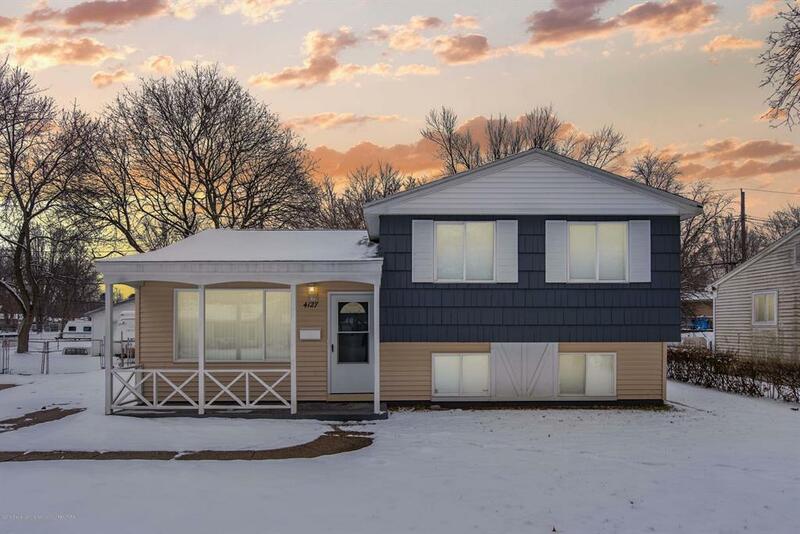 Move right in to 4127 Brighton and enjoy the ''it'' colors of brand new paint in and out along with the COMPLETELY NEW full bathroom with double sinks, new toilet, vanity, shower and fixtures! You will love the spacious white kitchen with brand new refrigerator, oven and microwave and great looking contrasting countertops that are all the rage. Enjoy the warmth and beauty of the stylish, electric fireplace in the main living area. The attractive and just refinished hardwood floors cover the entire second floor in the 3 bedrooms along with present-day ceiling fans. The basement is finished with daylight windows and you will be the envy of all the neighbors as you use your new Electrolux Washer and Dryer!